No other city can boast such a range of places to go kayaking. Deep gorges, dense bushland, sandy beaches, wandering creeks – Sydney has it all. We suggest booking a guided kayaking tour to see the waterside attractions, but also to pick up some safety tips from the experts. 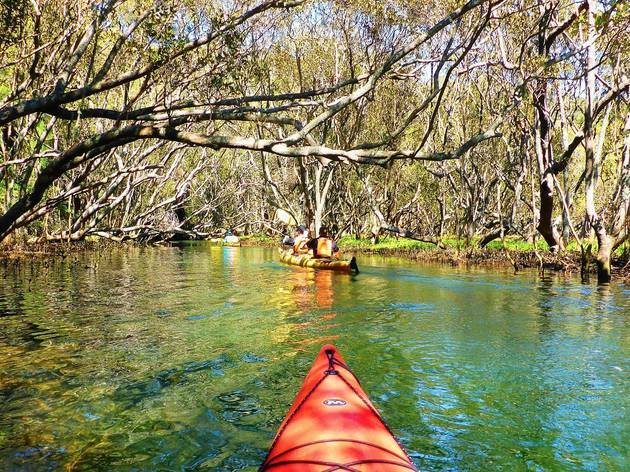 If you're experienced, why not hire a kayak and explore Sydney's harbour islands or the Hawkesbury and Nepean Rivers. Make a weekend of it with our guide to the best glamping sites in NSW. RECOMMENDED: 20 things to do in Sydney at least once in your life. One of the best decisions we ever made was opting for the water booties and fleece-lined base layer tops that Manly Kayak Centre offers to all its visitors. Why? Because this was the wettest and wildest kayaking tour we experienced – all thanks to the enthusiasm of our guide Belinda who was raring to go ahead on a winder-than-usual Saturday. Launching off metres from the Manly ferry was a thrill in itself, but soon we were working up a sweat navigating moving boats, a rising tide and drenching sea spray. We buddy up on a double sea kayak for maximum power as we paddle out towards the ocean. Hugging the coastline as much as we can, we steer into the secluded Store Beach for a much-needed rest and refuel. 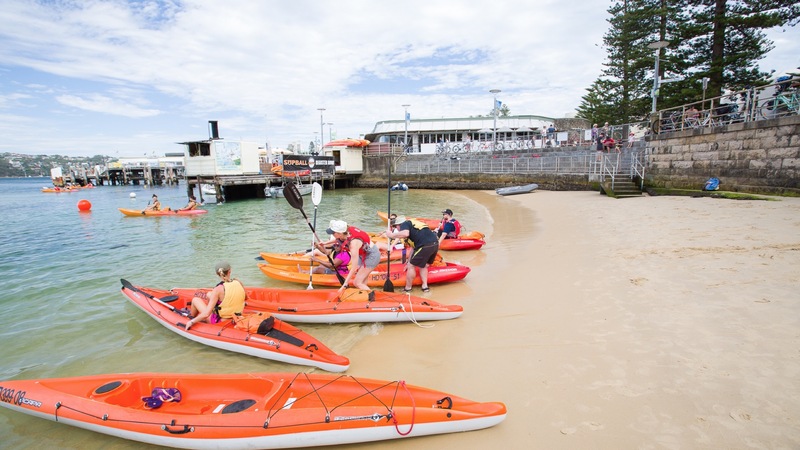 As part of the tour, Manly Kayak Centre organises a picnic table, chairs and loungers as well as a platter of sandwiches, fruit and lamingtons for the salty kayakers. The beach is accessible only by boat, which makes it a popular spot for proposal picnics. Though they’ve packed a couple of stand-up paddle boards, we opt to get back in the kayak and scoot around to Q Station. As each tour is four hours long, there’s time for a scenic walk wherever you moor up. We take a stickybeak around the historical, and possibly haunted, buildings at the old Quarantine Station. It’s a good opportunity to stretch the hip flexors and flex the wrists after the challenging 40-minute paddle. 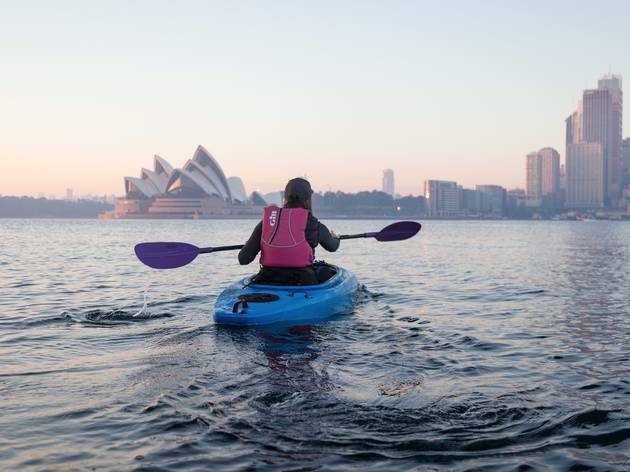 Unlike many kayaking companies, Oz Paddle’s Sydney Highlights Tour launches from rocks instead of a beach – but don’t let that deter you. First timers are in great hands as ex-competitive kayaker and tour guide Sophie Morgan makes sure everyone knows how to paddle properly before hitting the water. 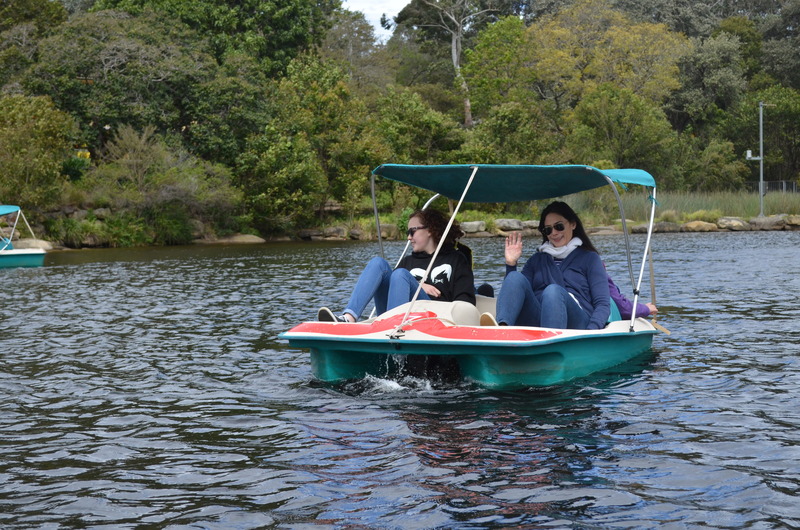 Our tour is a mid-week two-hour scenic tour of the harbour that’s perfect for beginners and a great way to see Sydney’s tourist sights. 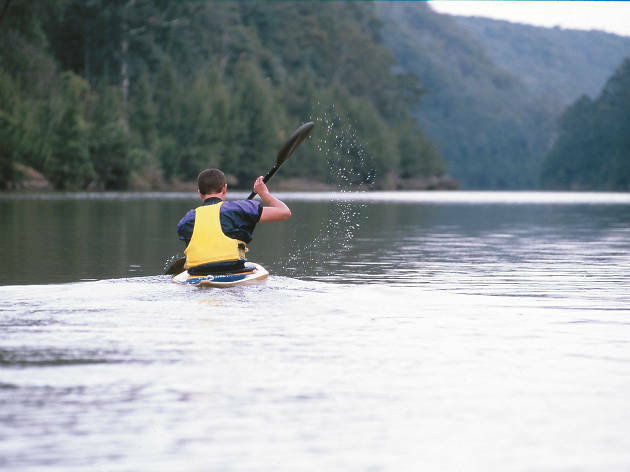 If you’re feeling brave, opt for a single kayak – a double kayak might seem like the easy option for beginners but you’ll pick up the skills quicker going solo. We launch from underneath Andrew ‘Boy’ Charlton pool before heading leisurely towards the Sydney Harbour Bridge and Opera House. Oz Paddle are the only kayaking company operating in this part of the harbour, and despite being so close to some of Sydney’s most popular tourist destinations you’ll have the waters around Farm Cove almost entirely to yourself. While you’re floating in front of Sydney’s biggest attractions you’ll probably want to take some Insta-worthy photos. 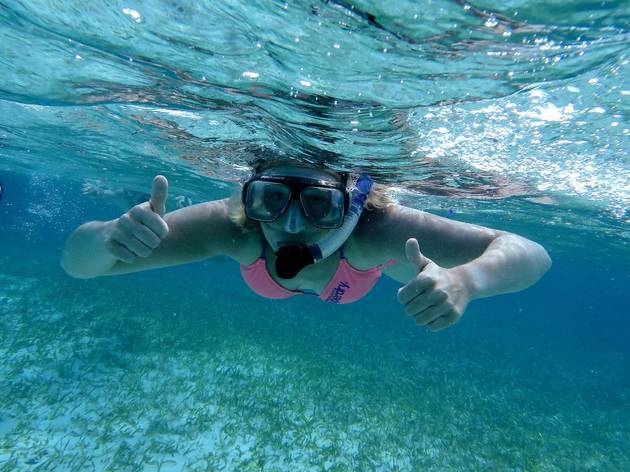 Don’t risk losing your own phone or camera to the depths of the Harbour – Sophie will take all the shots you need for a killer profile pic. If you’re lucky you might even spot the famous Sydney Opera House seal while you’re paddling. The most challenging part of the Sunrise Kayak and Coffee tour is getting up at 5am – but rising early gives you glassy waters and glorious photo opportunities that’ll make your hungover friends incredibly jealous on a Sunday morning. 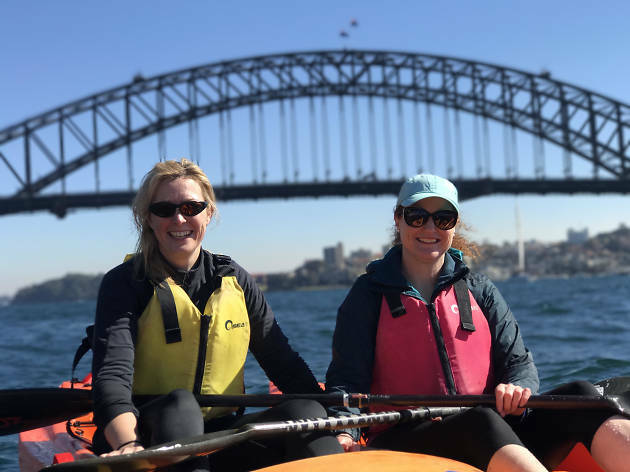 Instructor Laura Stone and husband Ben run weekly dawn tours that make the most of Sydney Harbour before most people turn and hit snooze. They set up single kayaks at Lavender Bay Boat Ramp ready for the 5.40am meeting time and while we’re learning the best way to hold our paddles, Laura is picking up everyone’s coffee orders from a local café. Each raft has a custom coffee holder, and the ceramic cups keep the brews warm until you’ve paddled under the Bridge. The harbour water is velvety smooth, and the kayaks are very stable so you don’t need to work hard to paddle around Luna Park and into position as the sunlight hits Sydney Opera House. Our fleet rafts up to enjoy the view, sipping flat whites through the salty silicone lids and snapping away with our phones. If you don’t want to risk dropping your own camera, there’s a photographer on each tour and you can purchase personal pics for $30. Though the kayaks have glass-bottom windows the water’s still too dark to reveal any sea life – however, we do spot a fur seal frolicking by Blues Point Reserve. Sydneysiders might be familiar with the ancient rocky coastline of Middle Harbour by foot, but seeing it from a kayak is another experience entirely. 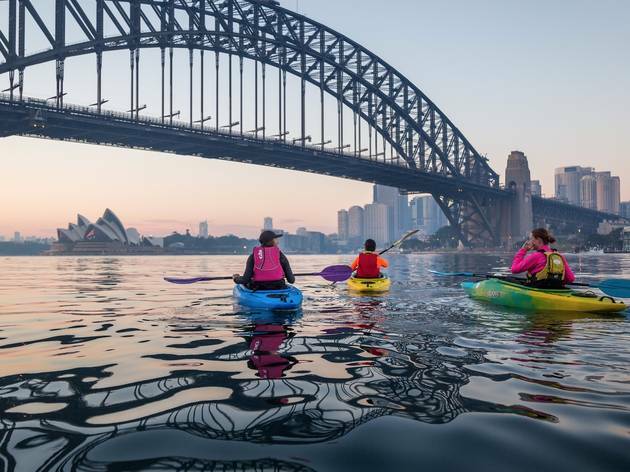 Sydney Harbour Kayaks’ Eco Tour has an early start, but the 8.30am launch means you’ll glide over glassy blue waters as you paddle under Spit Bridge and towards the oyster-shelled beaches of Garigal National Park. Though no experience is necessary for the Eco Tour, it’s helpful to have some prior paddling skills so you can focus on exploring. You’ll skirt by decrepit houseboats and pass luxury waterfront mansions, but the urban environment soon becomes the leafy forest of the National Park, which has far more potential for spotting wildlife and hearing about the history of Sydney. Our guide talks us through the past lives of Middle Harbour and Garigal National Park, from from the shipwrecks we paddle over to the history of the first European ferry provider and the area’s Indigenous peoples, the Gameragal people. By the time we return to the marina – around midday – the bay is busy with boats and we’re ready for a rest. It’s no longer serene, but on a summery day it’s a good time to hop out and enjoy the white sandy beaches and harbourside cafés. 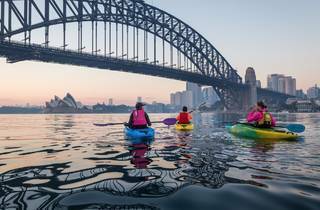 Sydney Harbour Kayaks also run coffee tours in Middle Harbour; three-hour paddling, yoga and meditation tours; and hidden submarine tours. Heading out from the Northern Beaches’ insular peninsula almost feels like a holiday in itself, so adding in a water activity seems like a fitting way to explore the area. 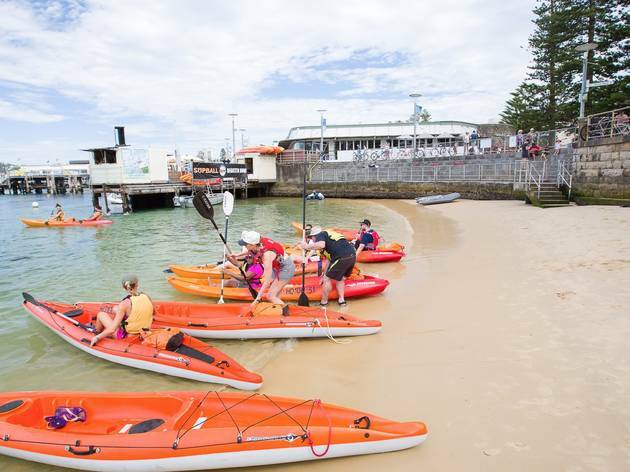 Collaroy local Greg Moran started Pittwater Kayak tours, which meet at Iluka Park and depart from Sandy Beach, with both sunrise or morning options. 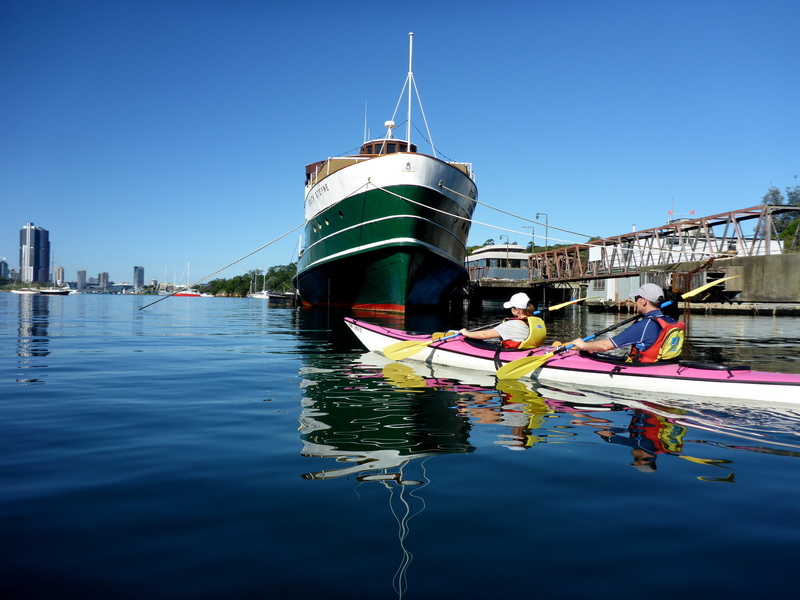 We try the Morning Kayak Tour and opt for a double so we can share the experience with a friend. The initial 1.6-kilometre paddle is a relatively easy cruise along the Pittwater. Your destination will depend on weather and swell conditions – on our trip we venture over to the shores of the Currawong Beach. 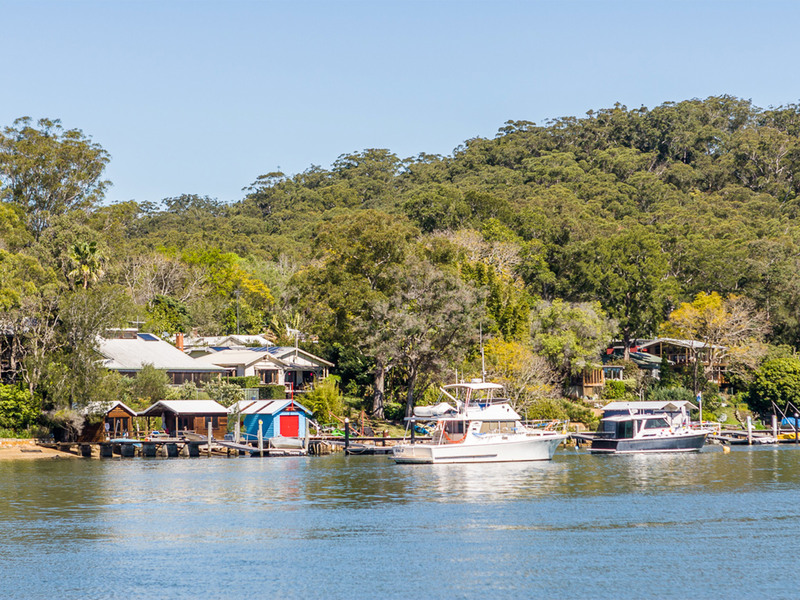 Once ashore, you can give your arms a rest as you make a quick change into sturdy shoes for a bushwalk through Ku-Ring Gai Chase National Park. The kilometre ascent uphill reveals stunning views back over the Pittwater, to Palm Beach, Barrenjoey Lighthouse, Mackerel Beach and adjoining headlands. Along the way you’ll hear interesting tidbits about native flora and fauna – did you know that grass trees only grow one-to-two millimeters a year, meaning that a relatively stumpy looking one-metre tree could be over 1,000 years old? After taking in the views you’ll head back down to the beach for an optional swim, a jump off the pier or you can just relax on the beach and watch wallabies hop about, before setting out back on the water. 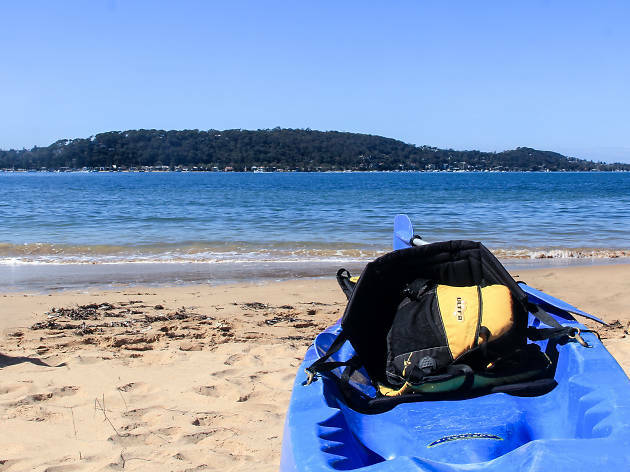 Call ahead and book a single or double kayak and Hawkesbury River Kayaks will have them ready for you at Parsley Bay, Brooklyn. 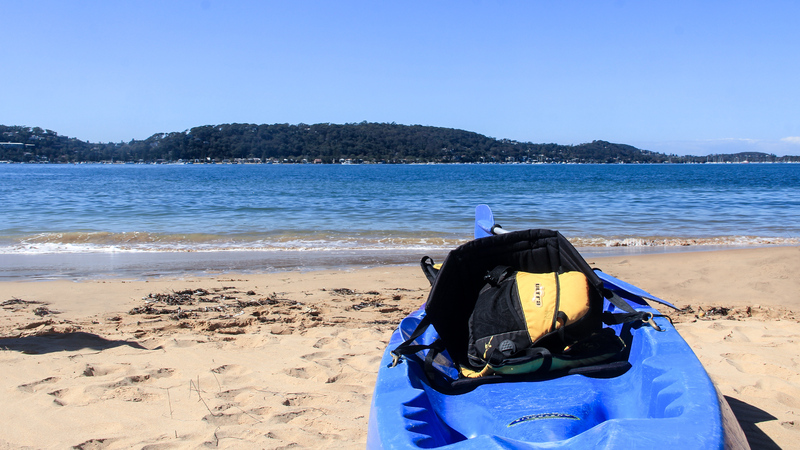 Within 20 minutes you’ll be paddling besides Dangar Island, or for the more experienced kayaker you could be at Cottage Point in two hours. Half day single kayak $50. ($100 deposit). 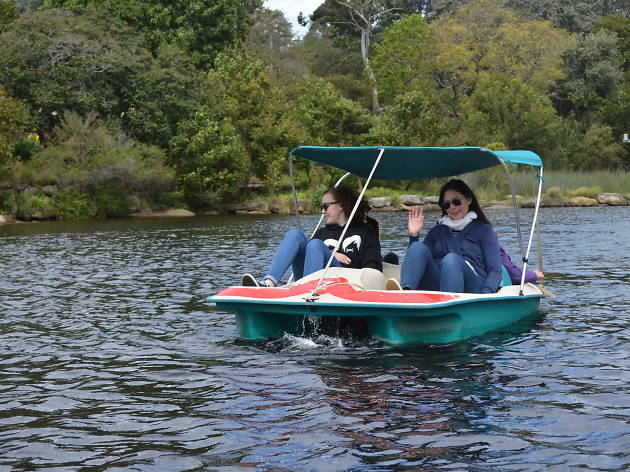 Every weekend this Parramatta Lakes company has row boats, pedal boats, canoes, SUP boards or single and double kayaks for hire. 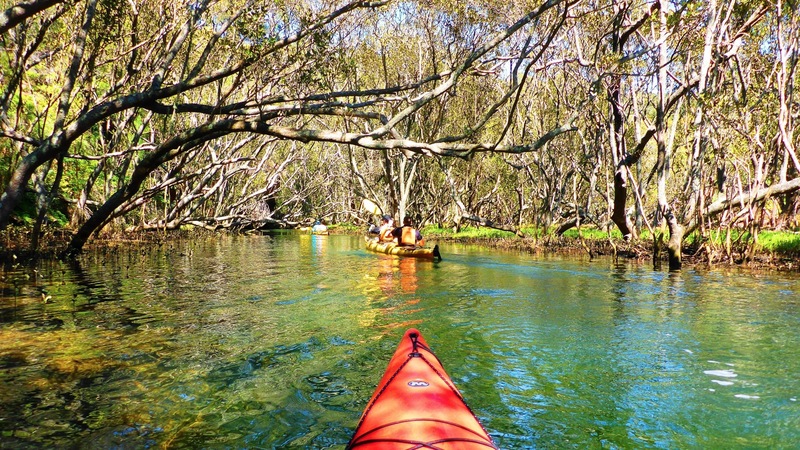 Paddle upstream and take a short bush walk through the park. From $30 for one hour. 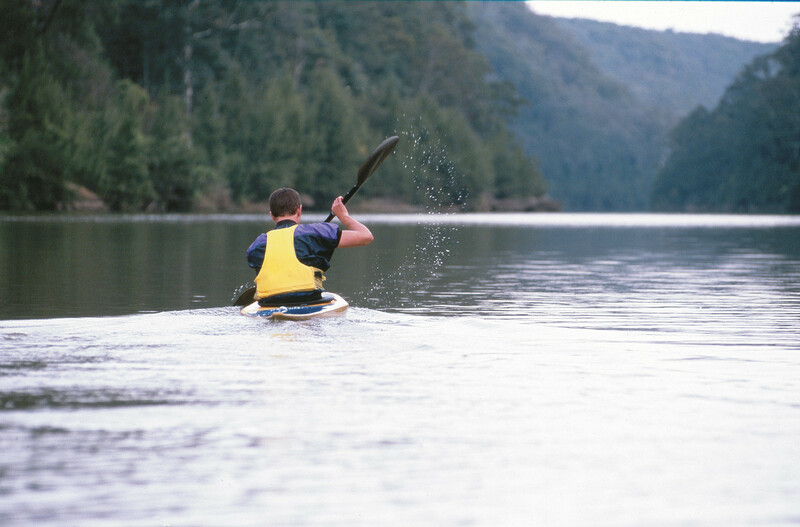 On the banks of the Nepean River in Penrith is a specialist canoe and kayak store that has a bank of single and double kayaks for hire from $15 for one hour. Adventure along the river bank to spot sea eagles, kingfishers and bell birds. Guided river tours are also available on request. 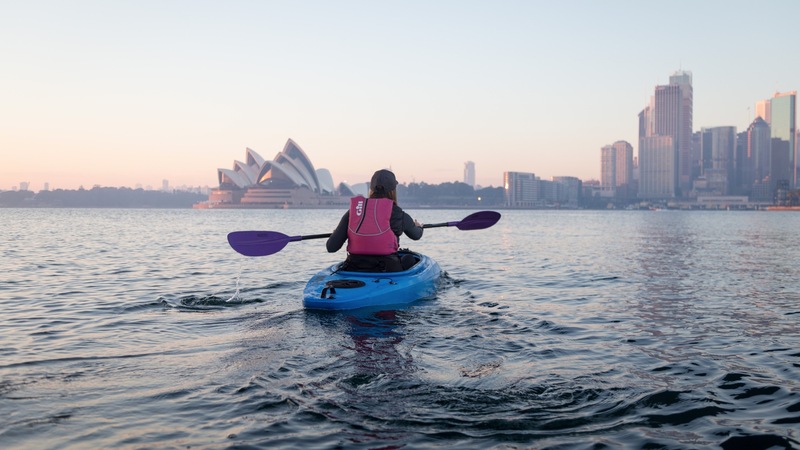 Patrick Dibben runs several small group tours on Sydney Harbour, including the Billy Blue Paddle Tour, which is a five-kilometre paddle from Lavender Bay to Berrys Bay. He also operates Goat Island tours and early morning fitness groups.